Regardless of the result, it’s always a great accomplishment to play on the final Saturday during the District 3 girls’ volleyball playoffs. 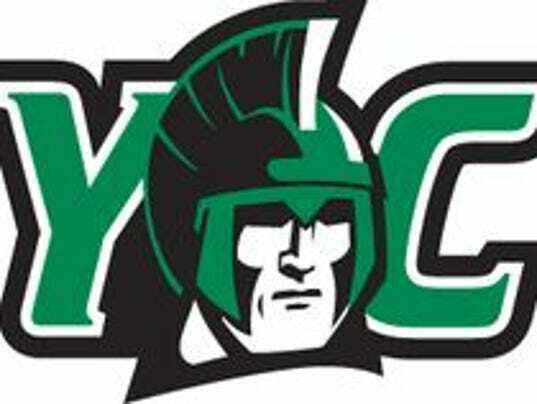 For two of the three York County teams still alive — York Catholic in 2-A and West York in 3-A — the opportunity was there to claim a district title on Saturday, Nov. 4. For the other (Central York in 4-A), it was a chance to keep the season alive. DALLASTOWN — Central York girls’ volleyball coach Nate Ocasio didn’t really have a whole lot to say Thursday, Nov. 2, after his team’s clash with Hempfield in the District 3 Class 4-A semifinals at Dallastown High School. Ocasio’s club, which won the York-Adams League Division I title this season while earning the No. 3 seed in the district draw, was thoroughly dominated in Set 1 against the No. 2-seeded Black Knights. DALLASTOWN — Some teams play down the revenge factor before preparing for a rematch. 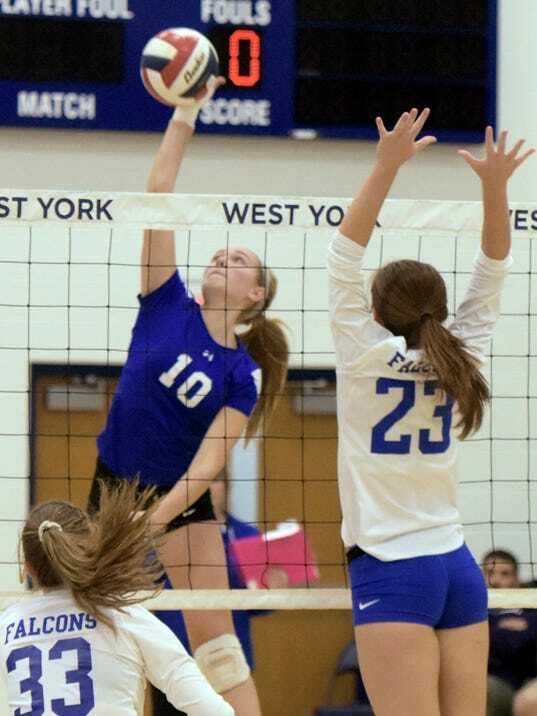 The West York girls’ volleyball team did the exact opposite. After an early-season loss to Palmyra on a Saturday in September, the Bulldogs put a big red circle around that contest, a 3-0 victory by the Cougars. Like many other teams, the players on the West York girls’ volleyball squad wear warm-up shirts that have a motto on their backs. That slogan was never more appropriate than on Tuesday, Oct. 31, when the ‘Dogs played host to Berks Catholic in a District 3 Class 3-A quarterfinal contest. 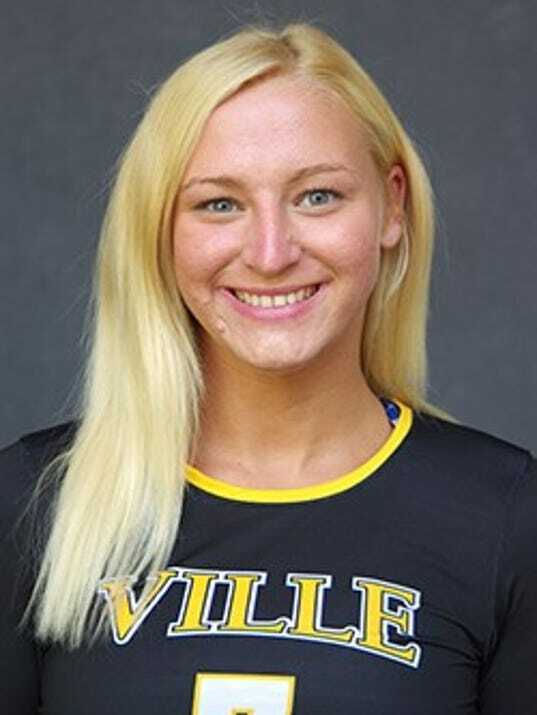 Red Lion High School graduate Lindsey Blevins is making an immediate impact for the Millersville University women’s volleyball team. 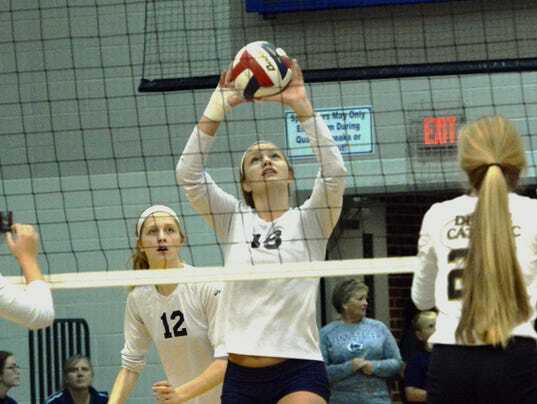 The 5-foot, 10-inch freshman outside hitter has been named the Pennsylvania State Athletic Conference Central Division Women’s Volleyball Athlete of the Week. Blevins averaged 17 kills and nearly 16 digs per match, helping the Marauders win two matches last week.